The Delaware County Board of Commissioners is currently seeking to appoint one resident of Delaware County to the County Public Defender Commission. The Public Defender Commission consists of five members, three of whom are appointed by the Board of Commissioners and two by the presiding judge of the Court of Common Pleas of Delaware County. At least one member appointed by each of these appointing bodies shall be an attorney admitted to the practice of law in the state of Ohio. The Board of Commissioners seeks to appoint one member to fill a term that will commence May 9 and will end May 8, 2022. The responsibilities and duties of the Public Defender Commission are to recommend to the county commissioners an annual operating budget, submit an annual report to the county commissioners and the Ohio Public Defender Commission on the operation of the county Public Defenders’ Office, including costs, expenses and finances, and create monthly reports relating to reimbursement and associated case data pursuant to the rules of the Public Defenders Commission. 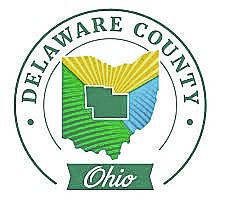 Interested individuals can apply by using Delaware County’s online application portal. It can be accessed at http://www.co.delaware.oh.us/index.php/employment. For any questions regarding this application procedure, please contact Dana Bushong, Delaware County Human Resources, at 740-833-2129 or dbushong@co.delaware.oh.us. Completed board appointment applications must be received through the applicant tracking portal no later than 11:59 p.m. on March 7. Submitted by the Delaware County Board of Commissioners.